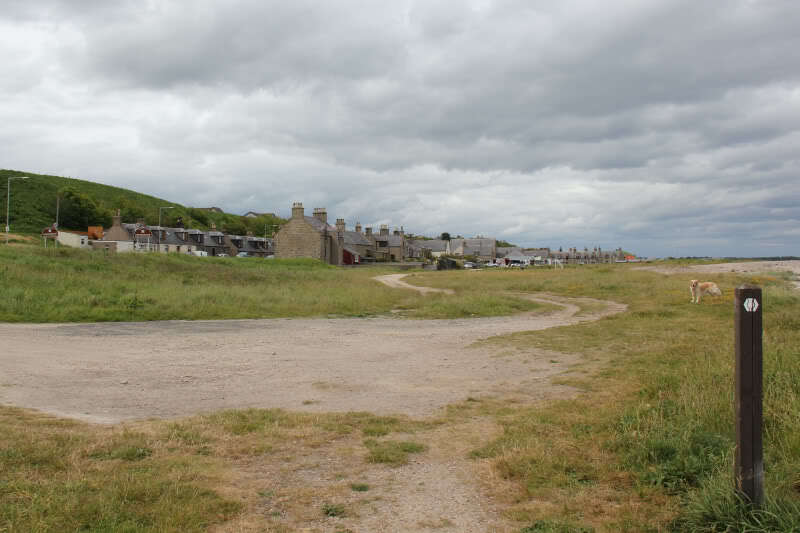 Following a visit to Cummingston on Wednesday evening, I realised that I had not as yet undertaken a coastal walk in 2012. 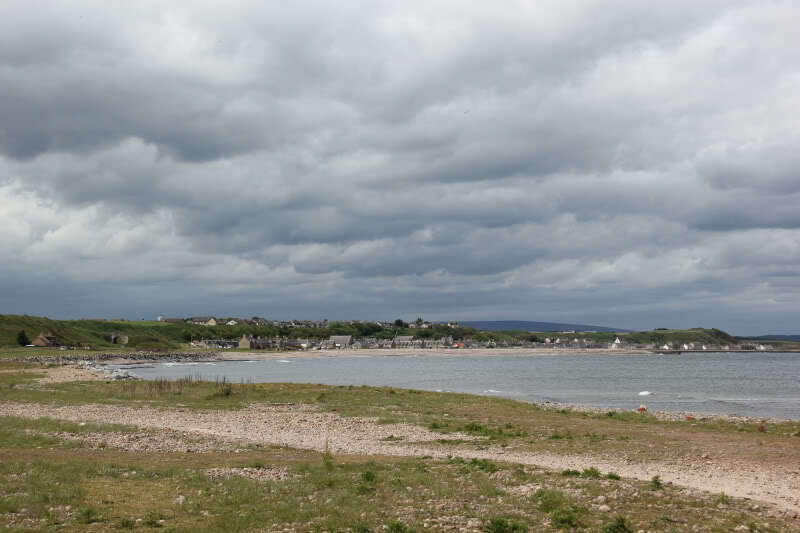 I’ve been slowly working my way along the Moray Coast, having previously walked from Macduff to Buckie. 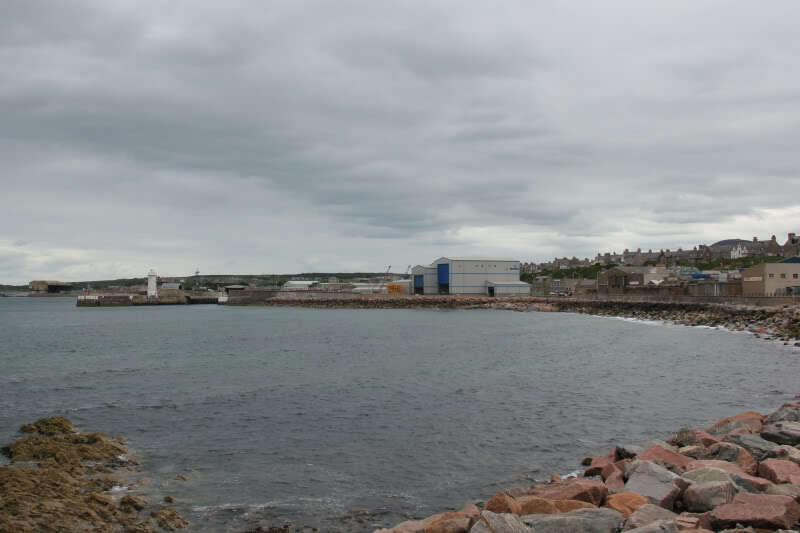 Previous walks: Macduff to Whitehills, Whitehills to Portsoy, Portsoy to Sandend, Sandend to Cullen, Cullen Coast, Cullen to Buckie. 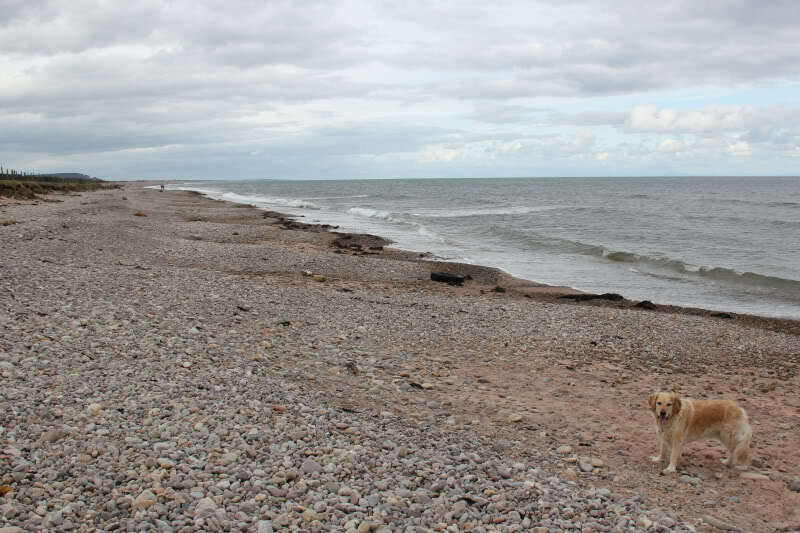 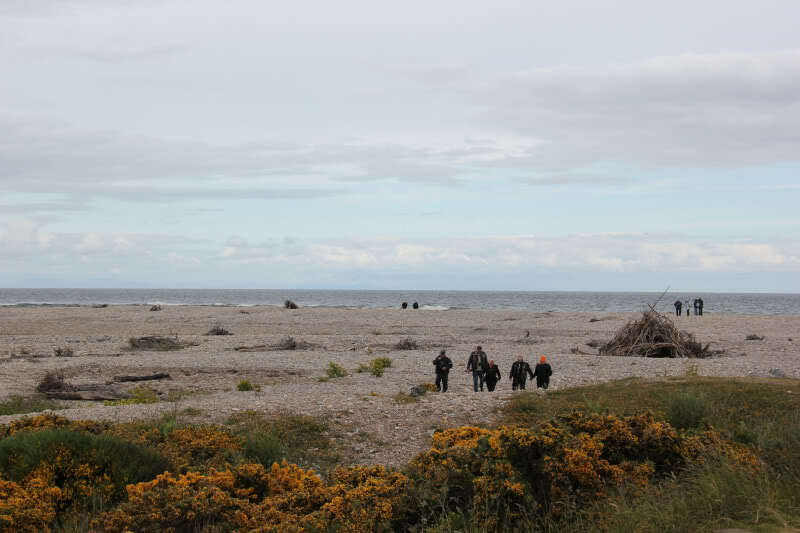 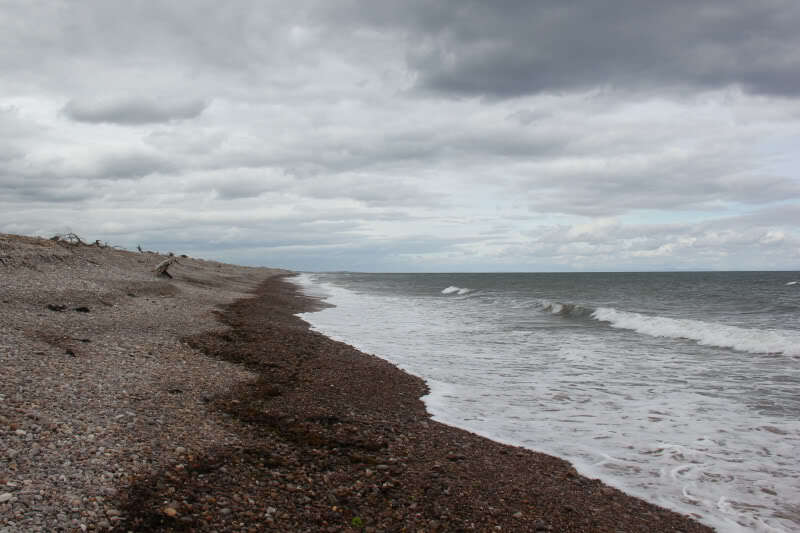 My next stretch of unwalked coast was from Buckie to Spey Bay, which I walked today. 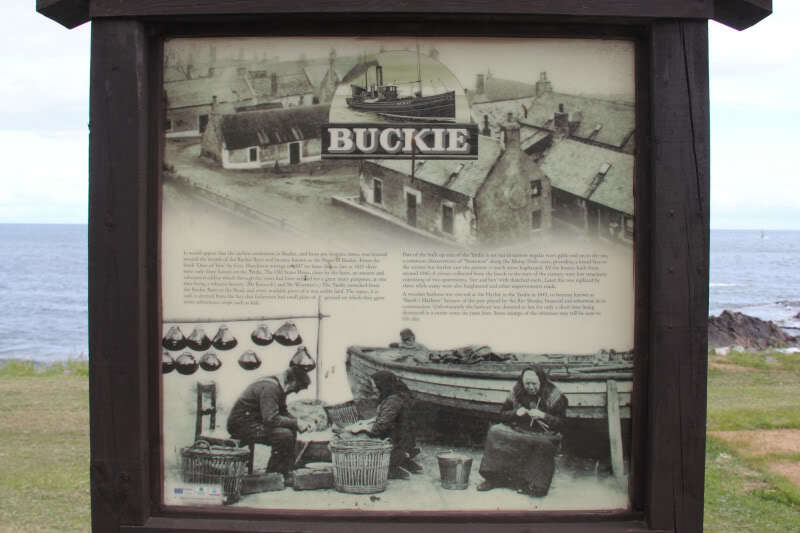 I parked in Buckie, where I had finished my previous walk, and then set off along East Church Street. 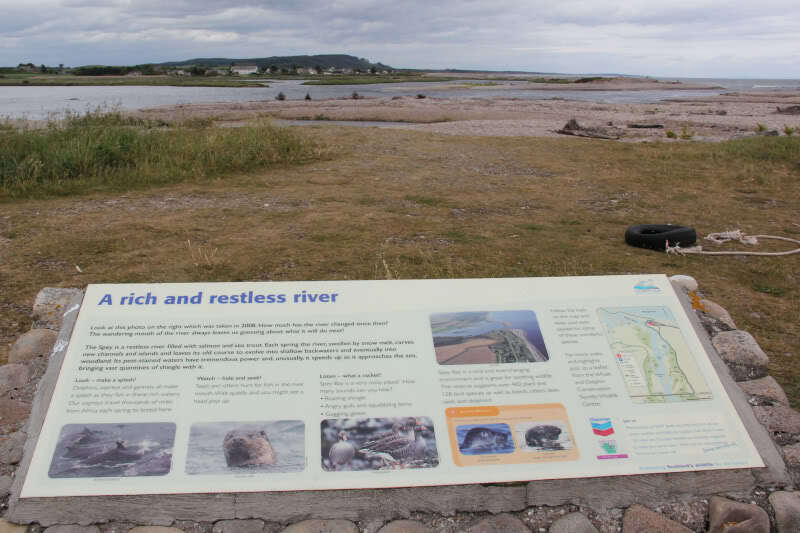 I then made my way down to the coast following the way-marked trail for both the Moray Coastal Trail (from Cullen to Forres) and the Speyside Way (from Buckie to Aviemore). 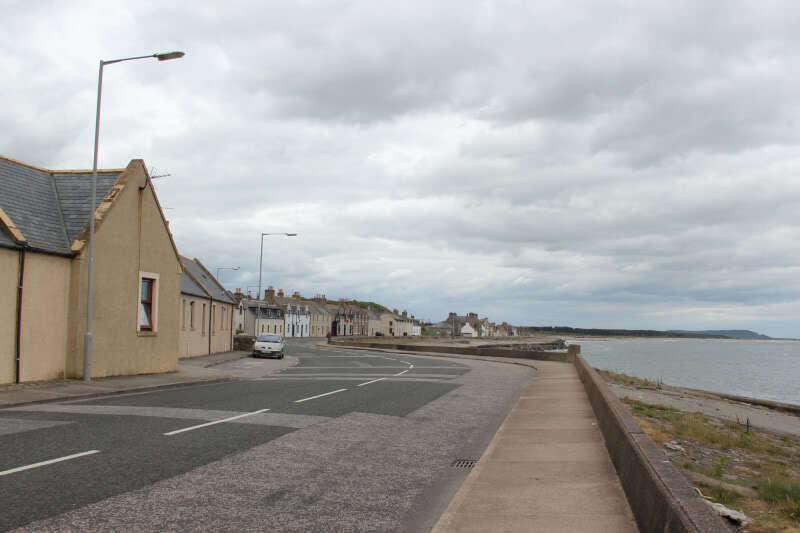 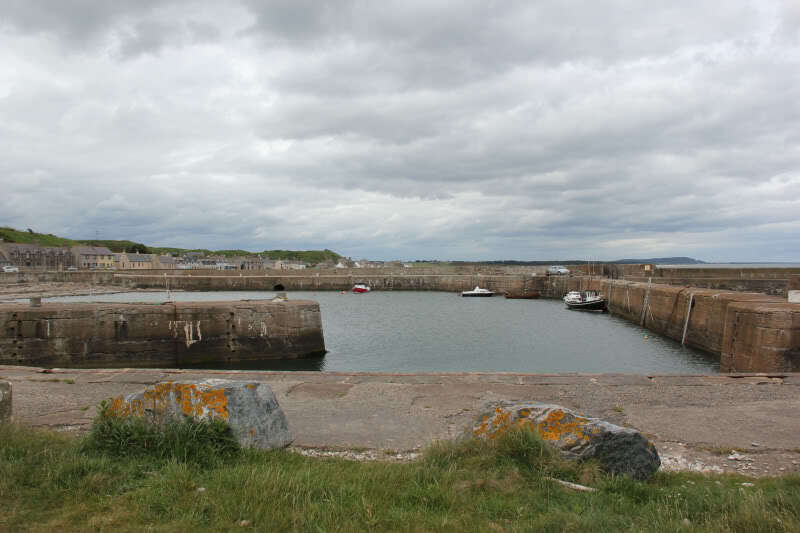 The first village I come to was Buckpool, formerly known as Nether Buckie. 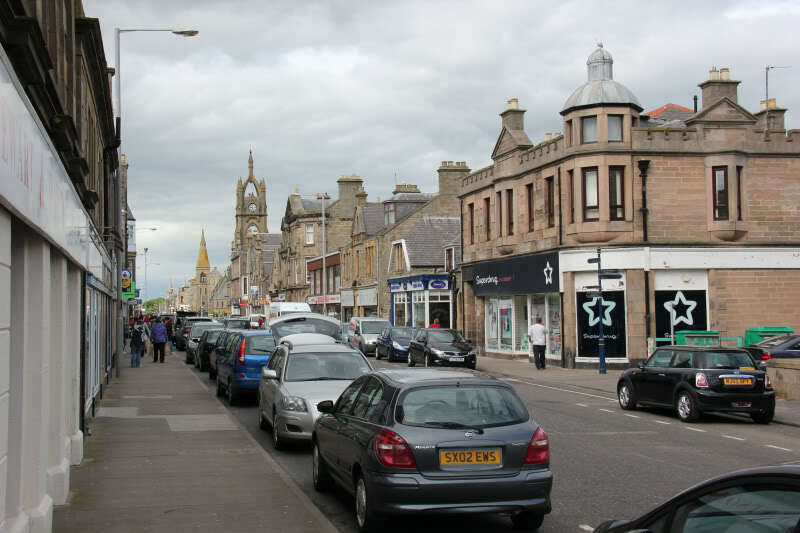 It is now effectively just part of the town of Buckie. 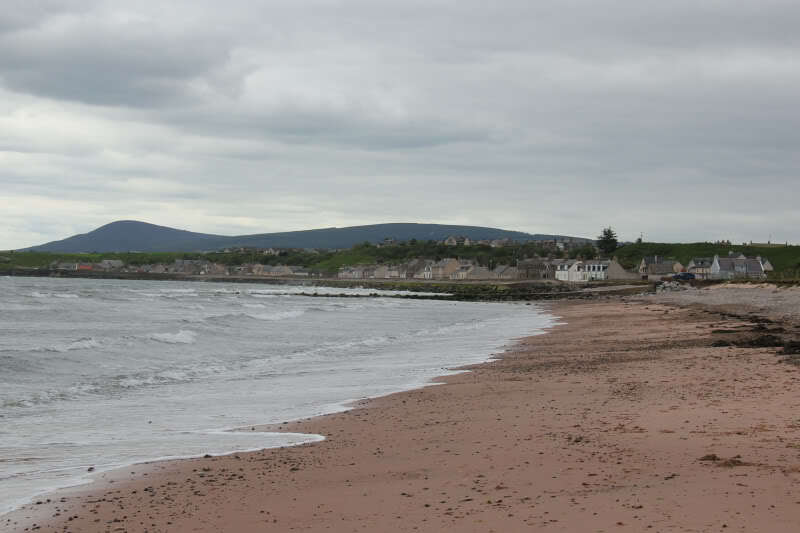 From Buckpool, we continued to follow the coast towards Portgordon. 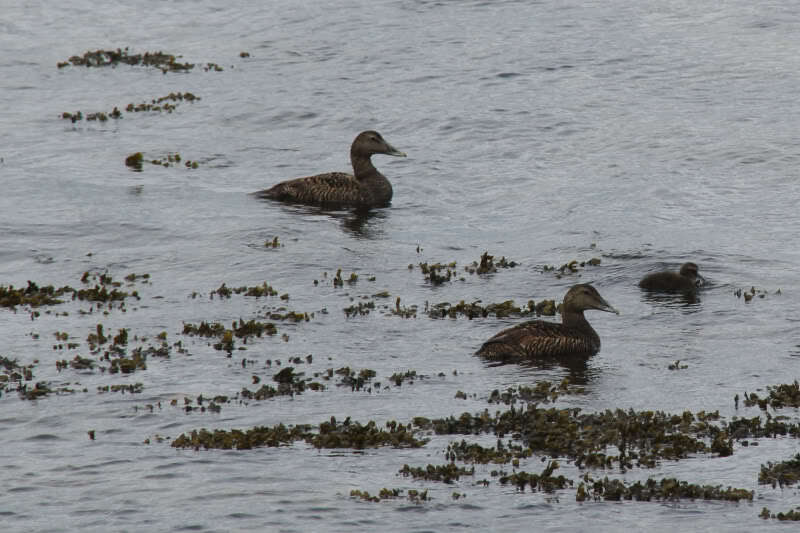 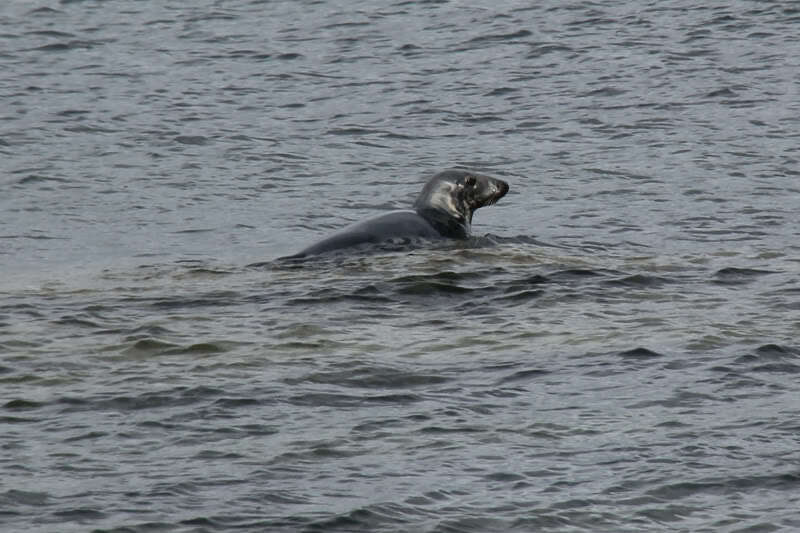 On approaching Portgordon, I spotted a couple of seals and some Eider in the water. 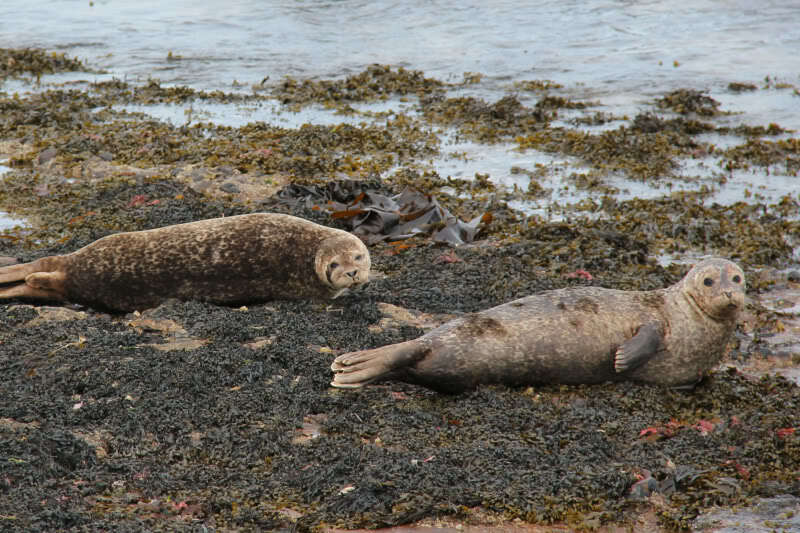 A short distance further on, at the outskirts of Portgordon, I saw at least twenty more seals. 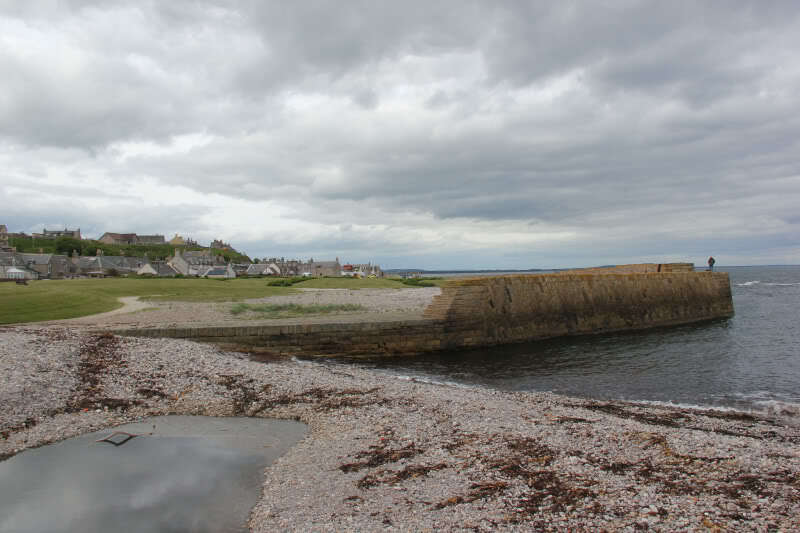 Beyond Portgordon, we started to walk along the pebble beach. 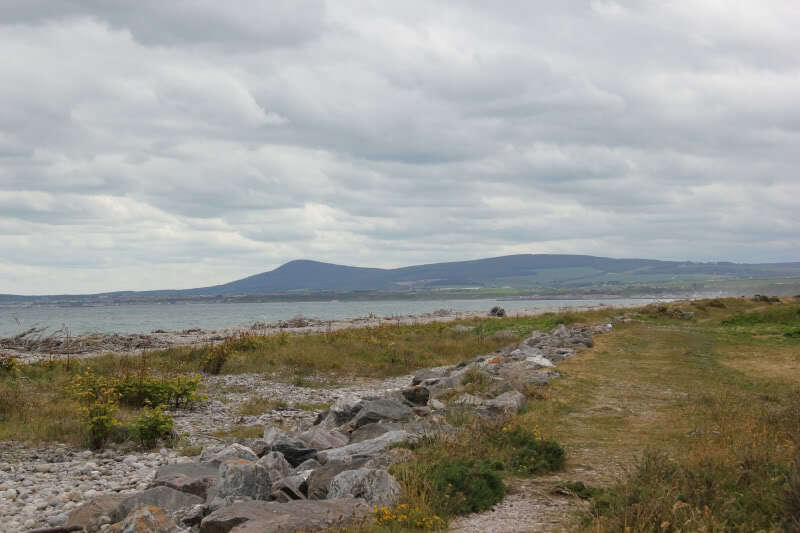 After several hundred metres of walking along the pebbles, I was glad to head up onto the track running alongside the pebble beach. 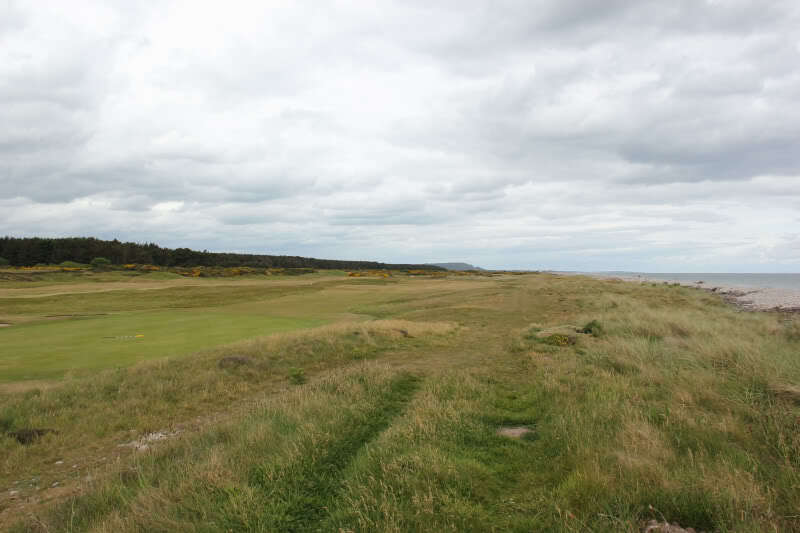 While walking alongside the Golf course, I saw numerous Yellowhammer flying in and out of the gorse. 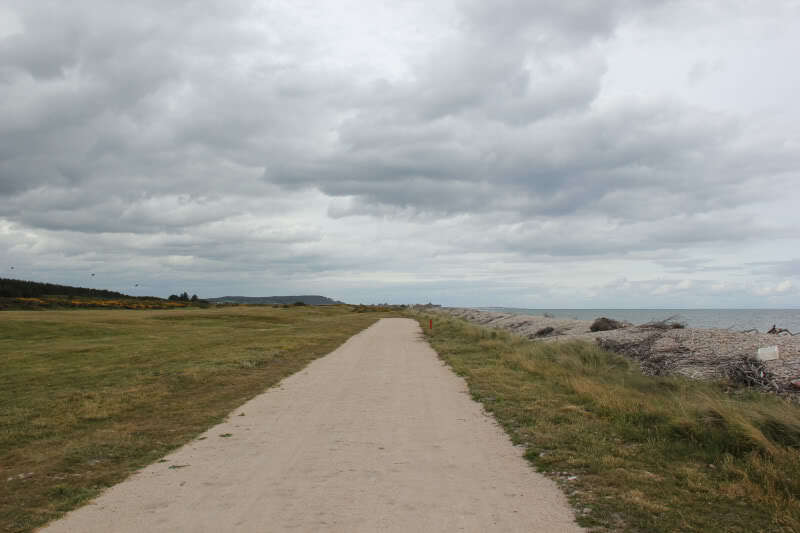 Circa 1km from Spey Bay, the track improved considerably. 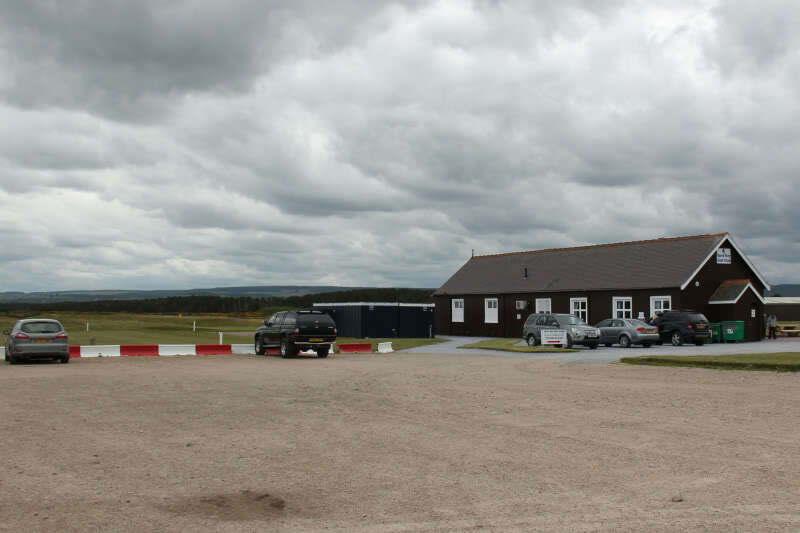 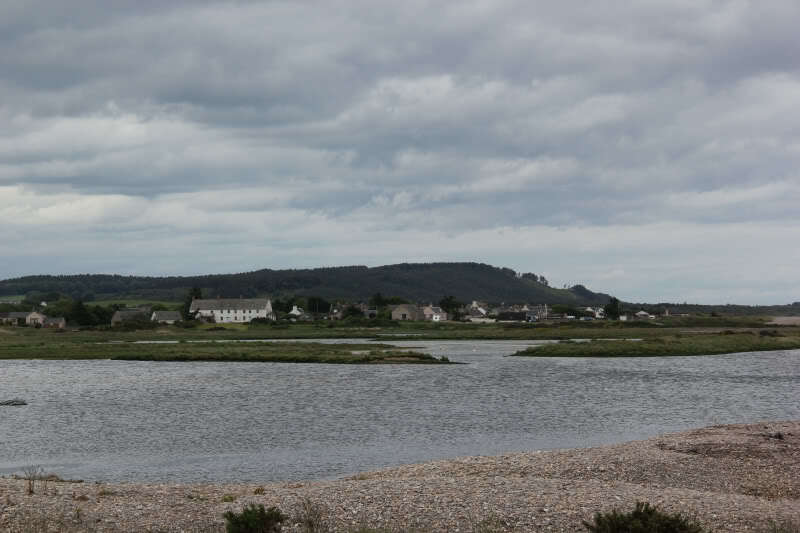 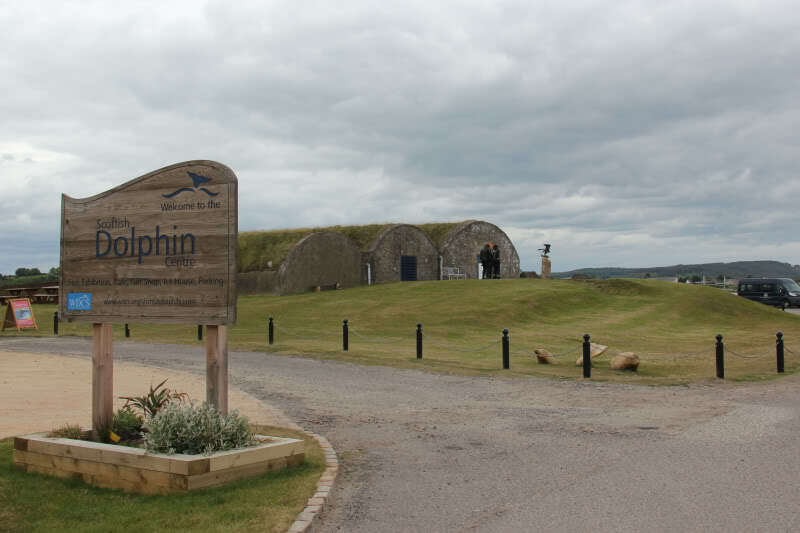 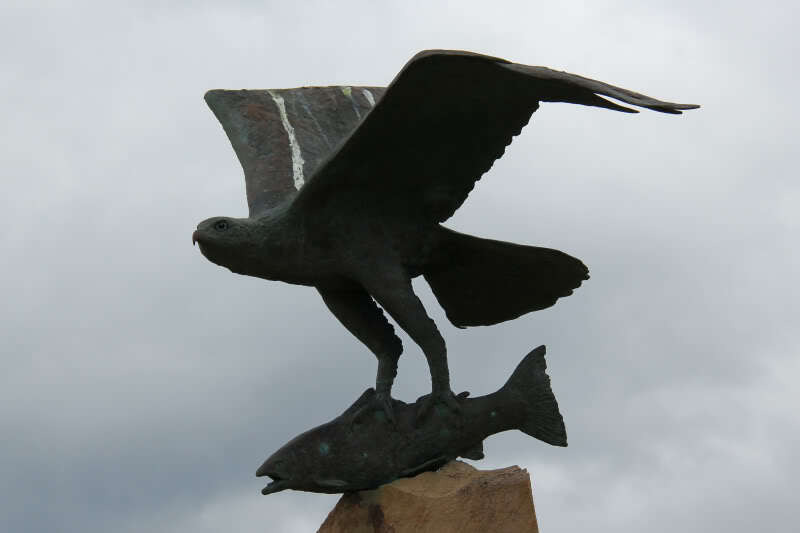 On reaching the Golf Club, I continued on through Spey Bay to just beyond the Dolphin Centre. 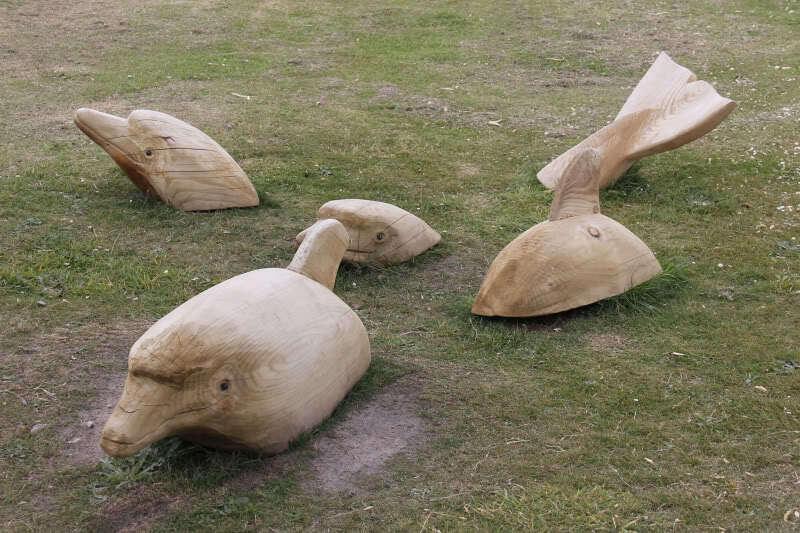 No real dolphins today, just some wooden ones. 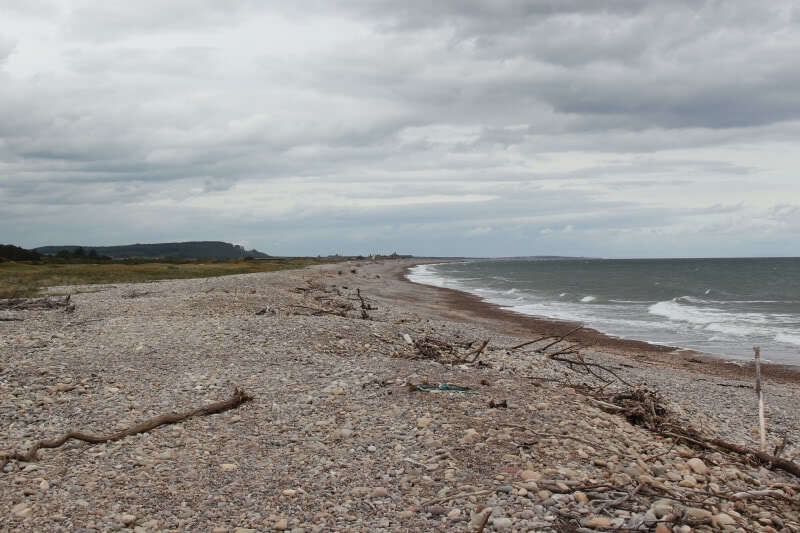 From Spey Bay, we returned back to Buckie via the same route. 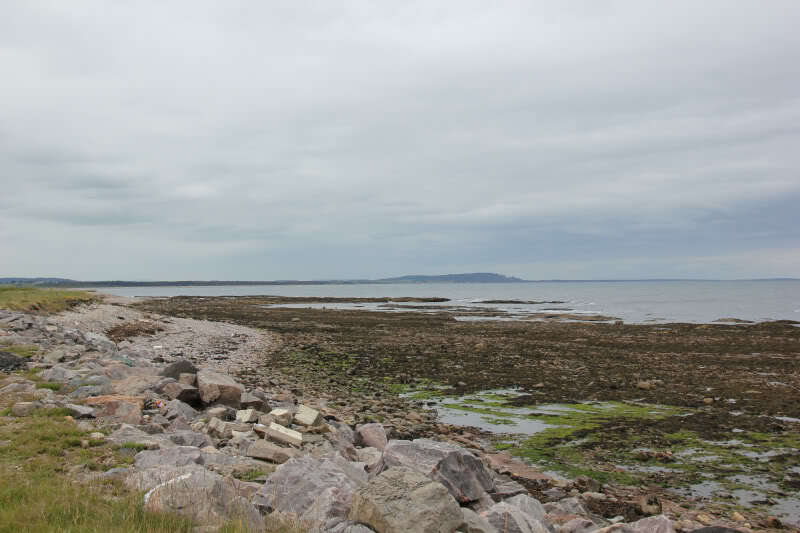 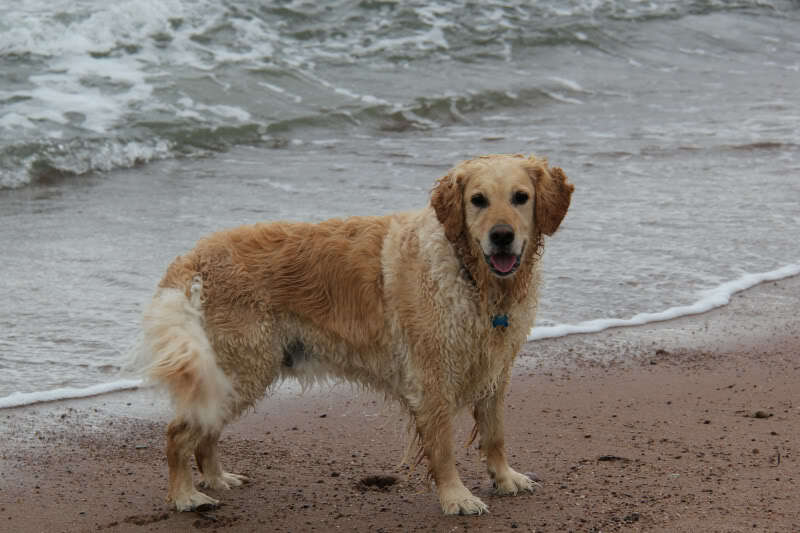 On our way back, the tide had started to go out, so we had a bit more beach to walk along. 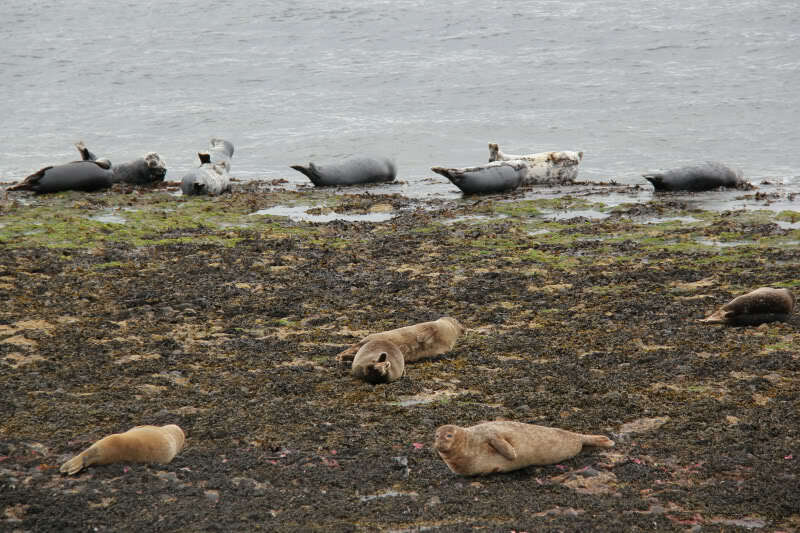 There were even more seals lying basking at the outskirts of Portgordon. 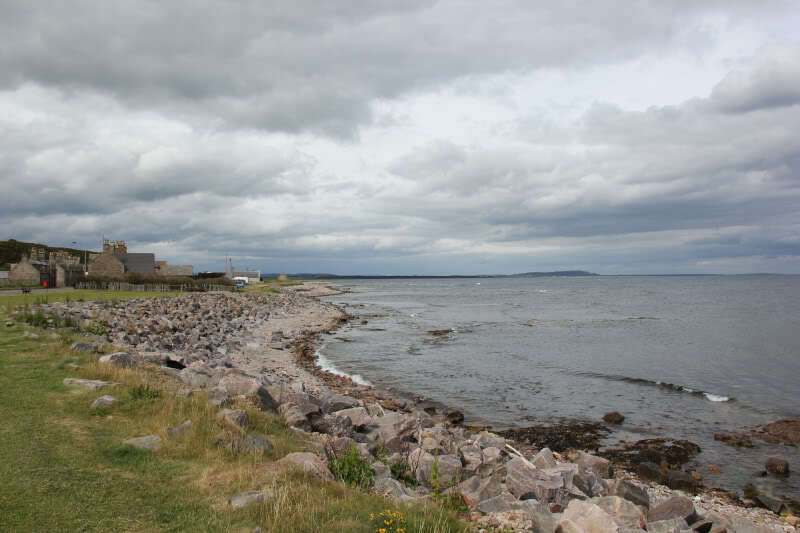 An enjoyable easy walk. 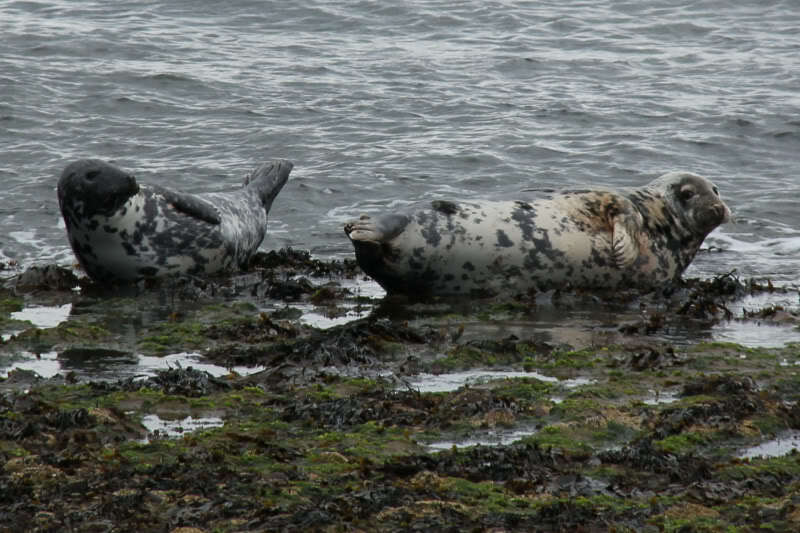 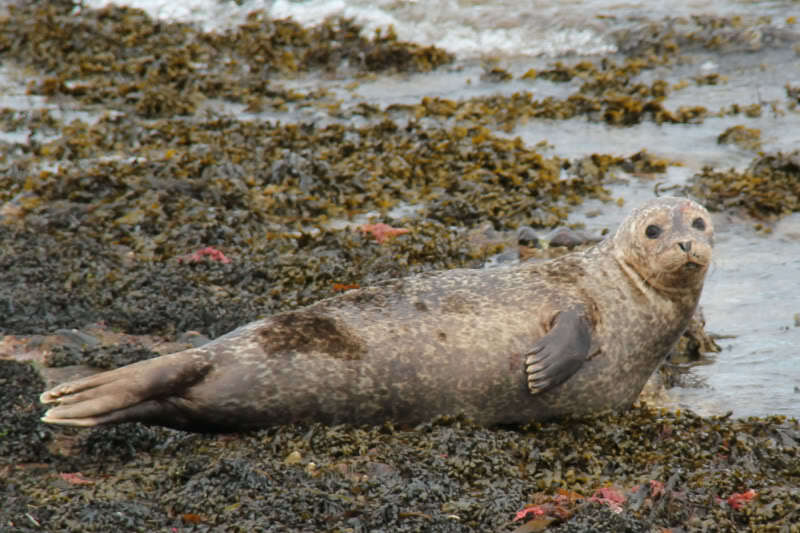 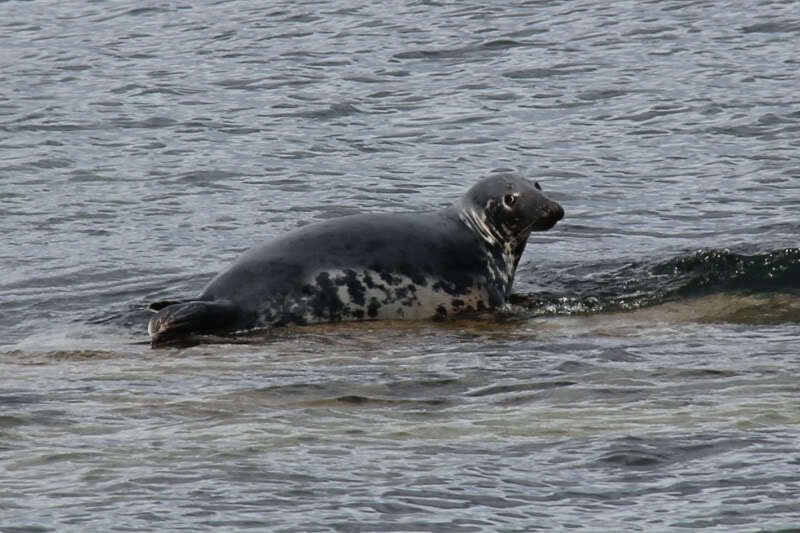 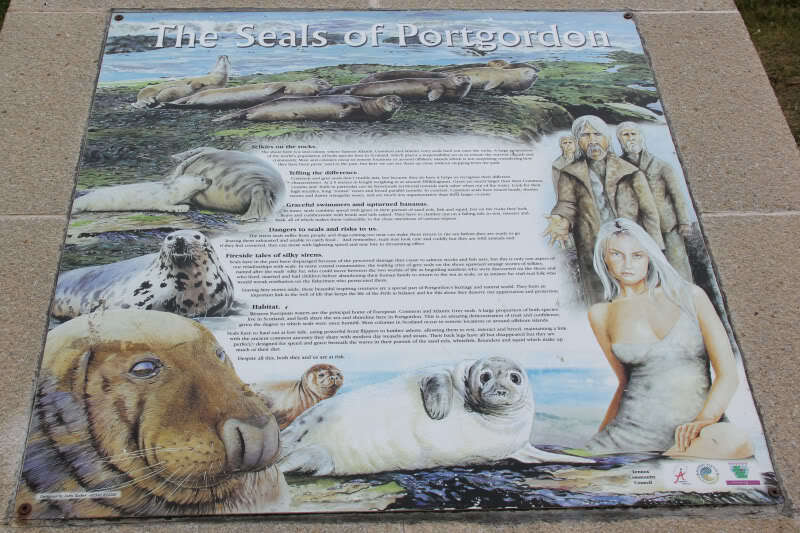 I'll definitely be going back to spend more time watching the seals at Portgordon - definitely the highlight of the walk.